In recent years, there has been a tremendous increase in interest in grape production and winery development in Nebraska and the Midwest. This increased interest has led to a need for detailed information requisite to vineyard establishment. 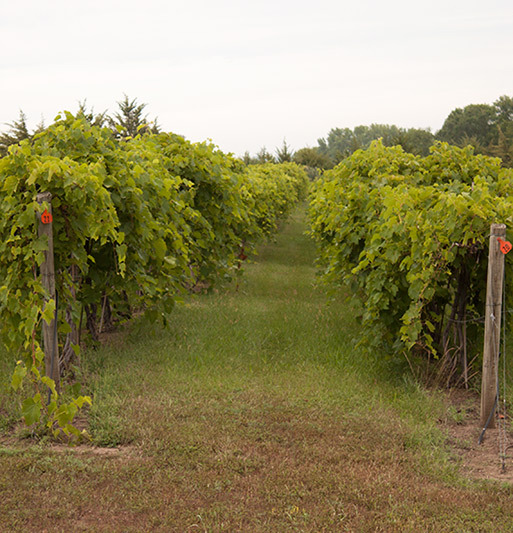 This paper by Paul E. Read, Professor of Horticulture/Viticulture and Stephen Gamet, research technologist, provides information for establishing a vineyard in Nebraska. Can you make money growing grapes? 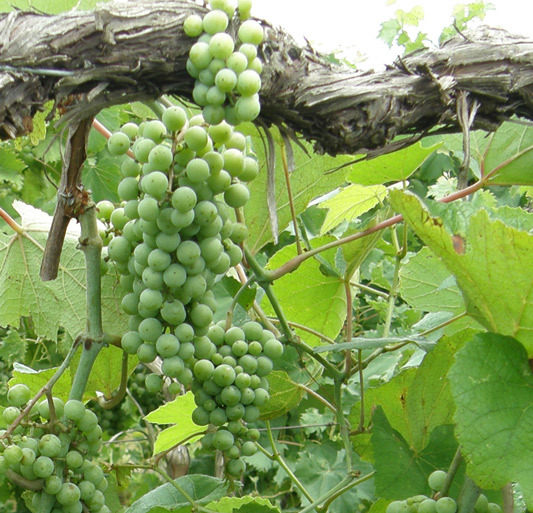 There are many variables to be confronted in establishing a profitable vineyard. There are many cultivars that grow well in Nebraska. How do you know if a location is good for a vineyard. The site selection and vineyard development checklists should help! 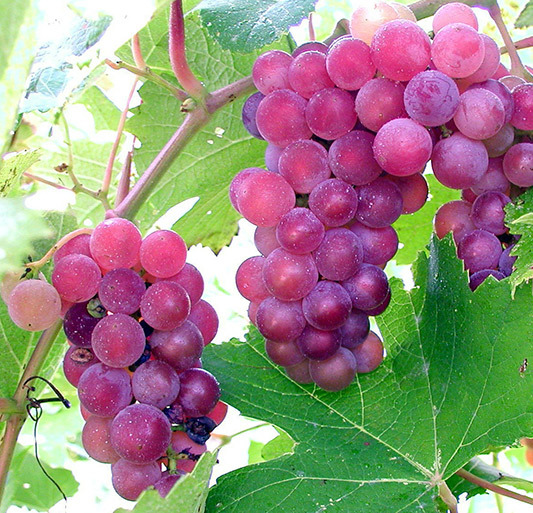 This list of grapevine suppliers and is provided for your convenience only. It does not indicate the endorsement of a particular supplier or product. According to Winkler, "grapevines cannot be grown satisfactorily without some form of support." Why is this the case? 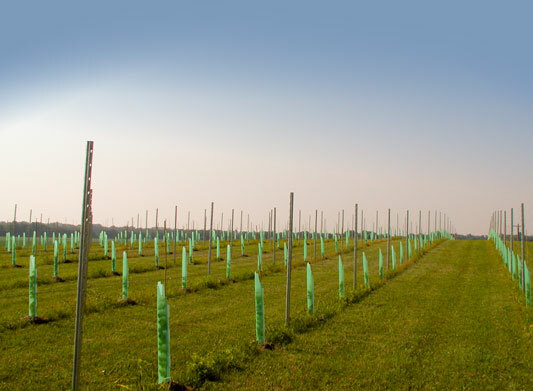 There are multiple reasons for training vines onto a trellis, including maximizing light interception, reducing labor cost, avoiding delayed bearing, minimizing disease pressure and developing a strong, straight trunk. 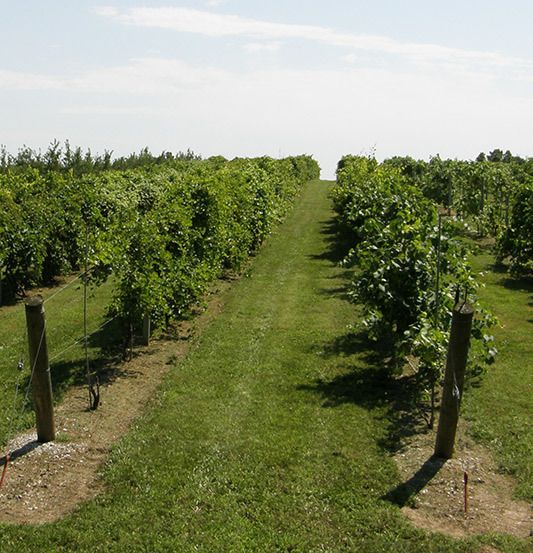 In addition, trellised vines are out of the way of cultivation and other vineyard operations. 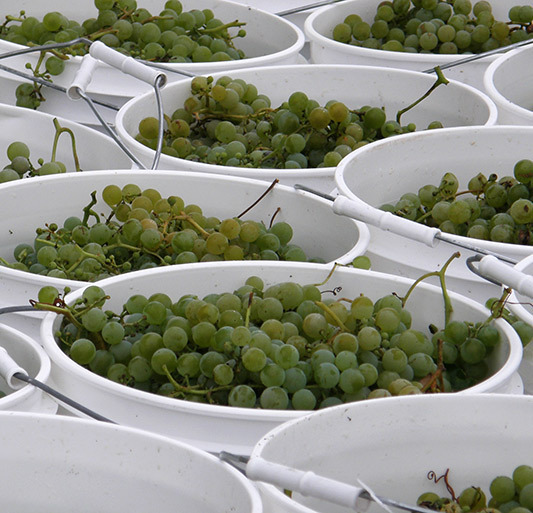 Methods and materials required for a suitable trellis system will be presented following discussion of the reasons for training grapes onto a satisfactory support system or trellis.